In my years of traveling and working as a crew leader for a conservation corps I’ve learned how to be a responsible tourist and pass through sacred places, forests, fields, and castles as if I was never there. While pagans, witches, and other magical folk tend to also be lovers of nature, it doesn’t necessarily mean that we all carry out our higher, and reverent, intentions in all of our actions. Indeed, we often do things mindlessly without realizing their larger consequences. The topics I’m going to highlight are most likely just honest mistakes, so please don’t take any offense if you’ve ever been guilty of doing what I mention below. I too, will admit to doing some of them before I worked in the industry or learned of their impact. Here are six practical ways that witches and pagans can be more responsible tourists. The first thing I want to bring up is the concept of Leave No Trace. This is an outdoor set of ethics and guidelines that promote conservation in the outdoors and preservation of the natural world. In short, it states that one should leave the environment exactly (or better) as it was before one visited; i.e., there should be no tangible proof that you were ever there. This may seem pretty simple but it actually takes quite a bit of awareness as you’re hiking, biking, birdseeing, etc. Part of leaving no trace is making sure that anything you bring to a site, you bring back with you. This means ALL trash. And by all trash, I mean that apple core you were going to toss into the woods or the banana peel you thought was okay to leave due to it being “biodegradable”. Unless something originates in that exact location, i.e. the strawberry stems from the strawberries you bought from the farm that grew them; please, please, please don’t leave it there. Before you roll your eyes, think about this example: leaving an apple core could lead to a new apple tree. 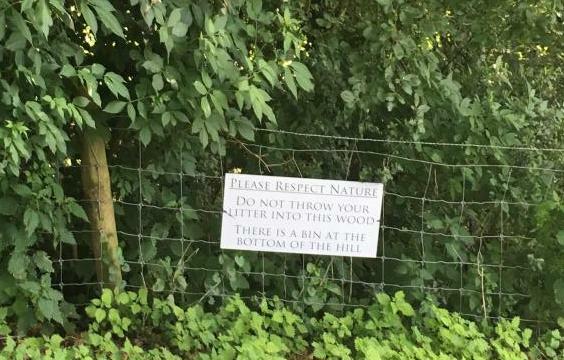 Yes, maybe you think that would be a good thing; but, if there weren’t apple trees already growing there already, then the apple is an invasive species and could throw off the natural balance of the ecosystem. And, for those of you that are smokers, please don’t leave your cigarette butts on the ground. They are not biodegradable, and I honestly see them as a desecration of the space. We’ve all seen those stacked piles of stones, and maybe we’ve even built them ourselves, or built them as a form of meditation. But, guess what? They’re actually graffiti. By picking things up and placing them in an order or shape that didn’t naturally occur, you’re in effect, altering the landscape. Same goes for the ribbons that people like to tie on faerie trees in Ireland (and elsewhere). The tree on whence they’re tied is a living thing and the ribbon impairs its ability to grow naturally, and could even create wounds in the tree itself. While I’m on the topic of graffiti: never paint, draw, or scratch, on any buildings, rocks, or trees (this includes magical symbols or spells). They not only decrease the historical, structural, and archeological integrity of the object, but also cause often irreparable damage and destroy its beauty. 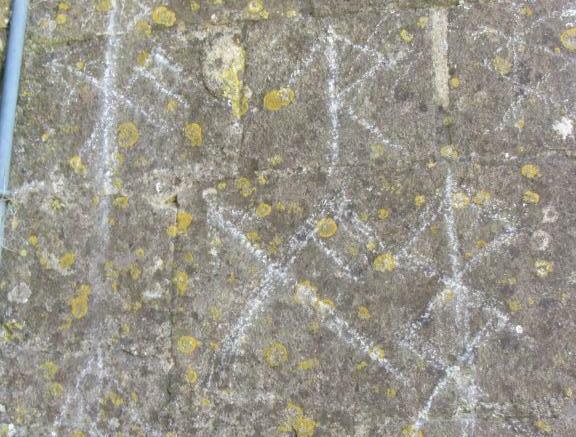 I was at Glastonbury Tor just last week and was horrified to see runes scratched into the surface of the tower. I know, I know, we all love to wander off into the woods and commune with nature. That’s fine if it’s in your backyard or somewhere really remote. But, for tourist sites that get a high volume of visitors and foot traffic, you are actually causing a lot of harm by going off trail. Your footsteps could lead to erosion and damage the natural landscape by trampling vegetation or disrupting animal trails. 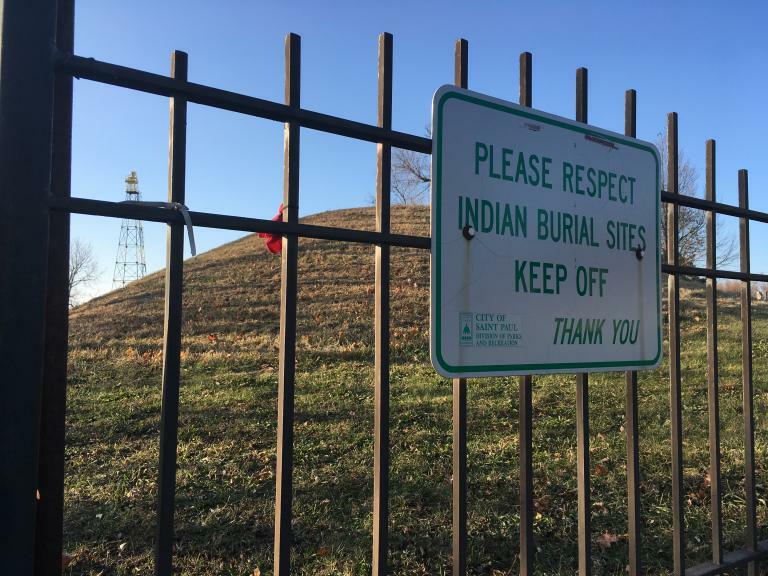 Even worse, going off trail at cultural sites could actually be spiritually harmful such as if you decided to climb to the top of a pre-American burial mound. Marked trails are designed so that people don’t get lost, but they’re also there to try and limit human impact on the environment. In addition, if you walk off the path, and someone sees you, they’re more likely to do the same thing. The repeated wear will eventually lead to new, unsustainable and potentially trails being formed. From my years leading trail crews, I can tell you that once a trail has been established, it’s extremely hard to repair and make it “disappear.” In fact, it can takes years for one small path to regrow again. I can’t believe this needs to be said, but it does. When you feed a wild animal it’s a small act of domestication. That animal becomes less afraid of humans and is therefore more at risk of being killed in the future from cars, dogs, or humans with nefarious intentions. Furthermore, human food is not animal food. That bread that people throw into ponds to feed geese and ducks is made with grain that humans have domesticated over the course of 10,000 years! It’s not meant for animal consumption, has no nutritional value (and most likely filled with dangerous chemicals), and teaches animal to beg for food, rather than find it in the way that they were biologically designed. 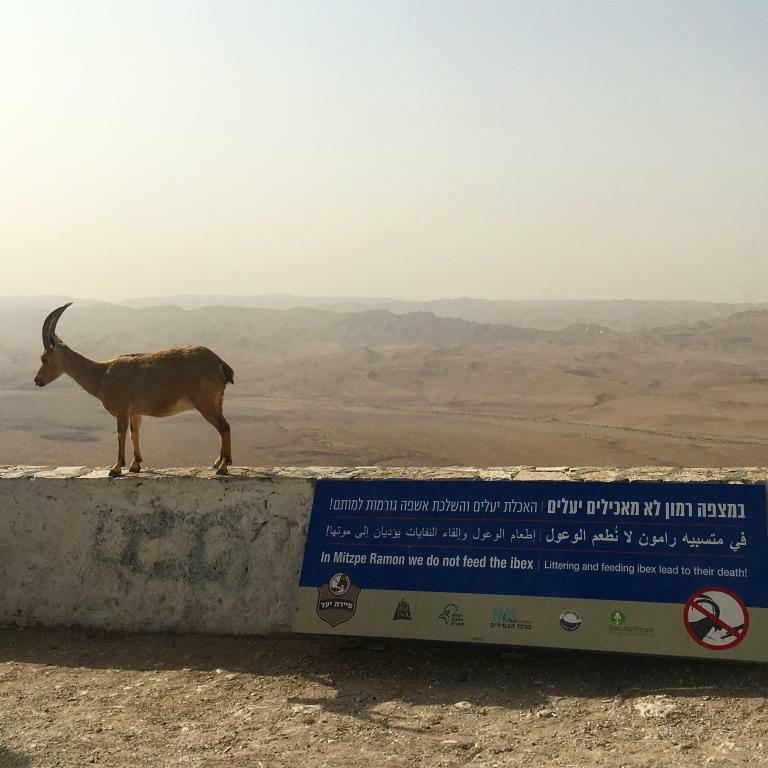 Ibex at Mitzpe Ramon, Israel. In my international travels, sacred sites are more often than not the focus of my trips. At these sites, I enjoy making offerings, however, I’ve learned that there’s a right way and wrong way to do this. I’ll be covering the former in my next post, so let’s just address the wrong way. 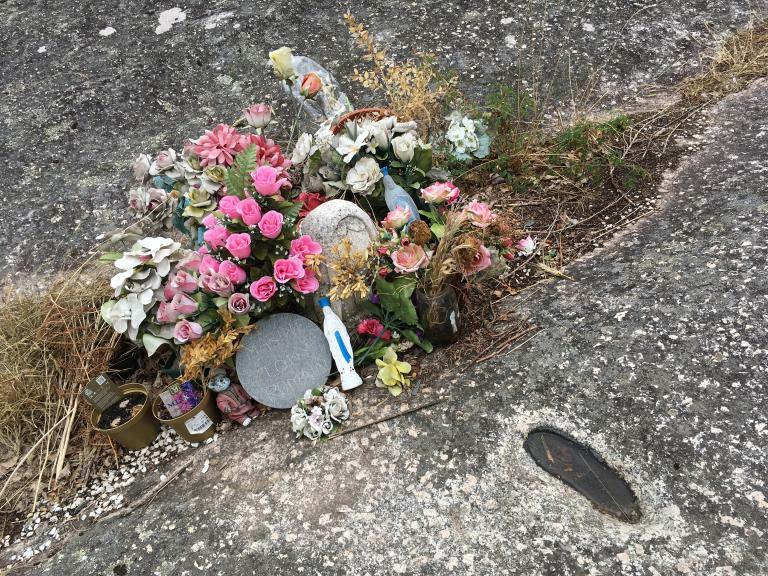 Please don’t leave burning incense sticks, artificial flowers, candles, or anything else that is not natural (again, the concept of Leave No Trace). If it’s at a human-constructed shrine like a church or well, you’ll need to decide what’s appropriate based on the location. But, if your offering will take place in a mostly natural environment, then only leave things that belong there. For food offerings and libations, ensure that you’re not leaving heavily processed consumables, since they’re as bad for you as they are for the animals, plants, and nature, in general. Water is usually my libation of choice, but more on that later. Lastly, if you wouldn’t drink that bad wine or eat those stale crackers, are they really fit for an offering? Votive offerings from a site of Marian healing in La Chappelle-St. Laurent, France.